Collecting environmental data and locating it in space and time is the easiest way for kids to form scientific habits of mind. Citizens make better decisions when they can think scientifically. Scientific habits of mind start with critical reasoning and include healthy skepticism, the ability to distinguish answerable questions from unanswerable ones, being comfortable examining both quantitative and qualitative information, and the capacity to place things into larger contexts and perceive connections. Just as the social sciences and humanities are for everyone, so is science. We can all think scientifically, communicate, and relate to one another—even if we aren’t Nobel Prize winners, renowned authors, or community leaders. But we need to build these scientific thinking abilities when we are young. Today, that requires demystifying science and its processes. Learning scientific concepts and reenacting experiments in a lab are important, but they’re not enough to awaken kids’ scientific propensities. Gathering environmental data and locating it in space and time—using GIS—is the most accessible way for students to do science and, therefore, form scientific habits of mind. From the age of eight, children have the intellectual capacity to grasp research questions. And a science lab can be anywhere—right outside, even. Having students do environmental citizen science, which requires relatively little (free or low-cost) equipment for close examination and experimentation, offers a way to make student research not only broadly doable but also useful to the wider scientific community, since the data that can be easily collected and examined outdoors is greatly needed for understanding the environment and addressing environmental concerns at different scales. Youth Learning as Citizen Environmental Scientists (YLACES) is dedicated to helping kids learn scientific habits of mind by doing environmental research in both formal and informal settings. Because such research projects necessitate data analysis, using GIS enables them to conduct far broader and more sophisticated investigations. There is increasing infrastructure to support these kinds of student activities as well—through the Global Learning and Observations to Benefit the Environment (GLOBE) Program, for example, which helps make it possible for students and citizens all over the world to engage in data collection and the scientific process. And, of course, there is Esri’s Schools and Clubs Program, which provides teachers and students with software donations and assistance so they can explore and analyze data using maps. YLACES has supported schools, teachers, and environmental organizations with instrumentation and training. And since it views scientific ability as universal rather than specialized, the organization is also aiming to change the focus of most science fairs from identifying promising young scientists for special educational activities to providing meaningful feedback on students’ research so they can improve their scientific abilities and their projects can contribute to important scientific examinations. Strengthening the scientific abilities of our future decision-makers will require support from everyone, including the GIS user community. Teachers and youth group leaders need help learning how to use GIS, and young learners need coaching in doing research. 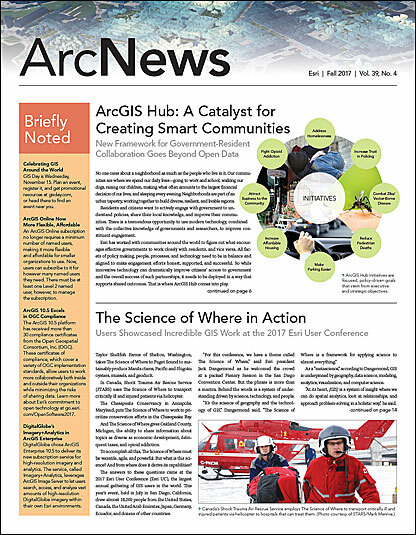 Those who are savvy with GIS can advise people in using the technology by getting involved with organizations like SciStarter, which works to connect citizens with citizen science projects. They can also offer to help evaluate student research reports via GLOBE, which operates both virtual and in-person student research symposia to showcase and assess students’ environmental research. GIS practitioners can guide teachers in using GIS by becoming GeoMentors or advocate for efforts to build spatial understanding more concretely into science education. They can always make contributions to science education nonprofits as well, including YLACES. The GIS community, with its deep appreciation of the spatial nature of earth science research, has much to offer this investment in our collective future. Dixon Butler, an atmospheric physicist, is the president of YLACES and an independent consultant focusing on science, environmental, energy, and space policy; STEM education; and congressional appropriations. Previously, he was the director of the Modeling, Data and Information Systems division for the National Aeronautics and Space Administration’s (NASA) Mission to Planet Earth and the director of the GLOBE Program. He also spent time as a clerk for the US House of Representatives Committee on Appropriations, where he concentrated on energy and water. For more information about YLACES and how to get involved with youth science education, email Butler. YLACES presented the Youth Environmental Science (YES) Medal to Esri in 2016 for its sustained contributions to student environmental research and learning. 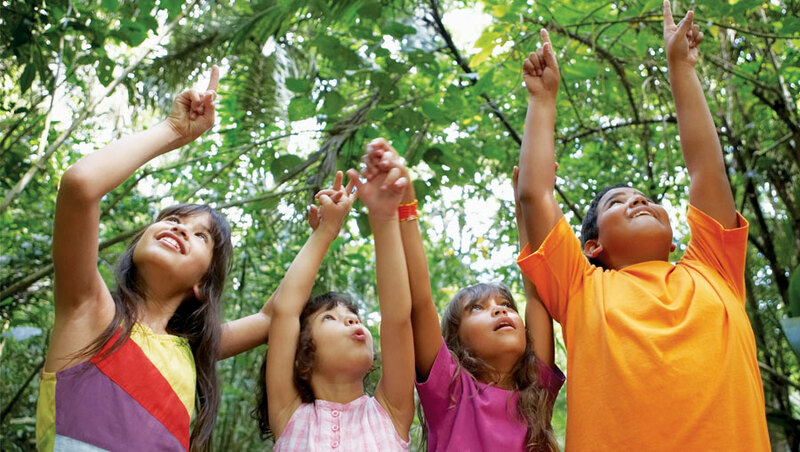 The award includes a $10,000 grant to an organization engaging youth as active citizen environmental scientists, and Esri chose the Jane Goodall Institute’s Roots & Shoots program.